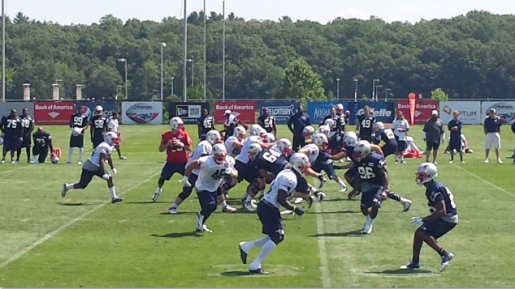 New England Patriots: Tyler Gaffney and other thoughts. | NFL News, as it happens, when it happens. Your one stop shop. New England Patriots: Tyler Gaffney and other thoughts. The injury to Tyler Gaffney that puts him on the Waived/Injured list most likely ends his Patriot career before it began. Two consecutive season injuries means two things: Jonas Gray will probably be the Week One starter and that the Pats will continue to retool this position as preseason goes on. A guy to think about: Knowshon Moreno. McDaniels drafted him in Denver and he really showed a lot of promise for the Broncos when they made their Super Bowl run. The one thing he does extremely well is pass protection. If this happens, I wouldn’t be shocked. The trade for Ryan Groy shows that they aren’t pleased with the depth along the offensive line. Groy is big (6’5, 320) and has had played both tackle and guard positions during his time in Madison. He showed as a powerful run blocker and could be a valuable reserve going forward. He had a 4th/5th round grade coming out last year, so the kid has talent. Giving up Matt Wells shows that they are willing to give up a 6th rounder this early for depth. Could be telling for both Wells and Groy as well as the injury to Wendell. 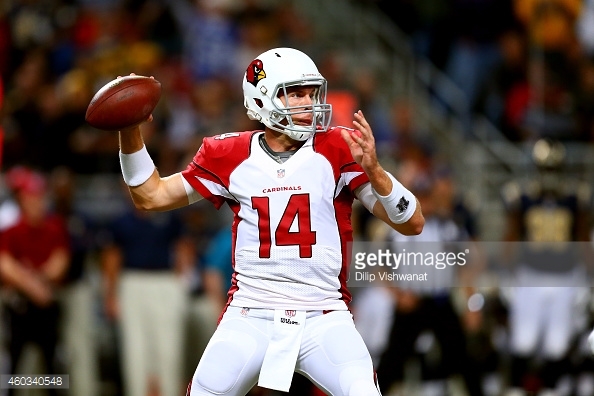 Signing Ryan Lindley isn’t necessarily something that is bad. Garropollo will get most, if not all, reps going forward and Lindley is someone who will be 4th Quarter Fodder for the foreseeable future. Although, if he made it through all of preseason, it would be a shocker. I think if Brady gets suspended, they might look at more capable backups to Garropollo. Not to bring up the connection again, but Kyle Orton might be someone to bring out of retirement for a cushy job where he can sit and fill in if Jimmy gets hurt or struggles mightily. He’s only 33 and was competent enough in Buffalo last year (Of course he wasn’t good last year, but Buffalo’s problems extended far past Orton). Either way, they’re going all in on Jimmy this game or I expect him to play as much as he humanly can while we figure out what Brady is going to do. Also, they could bring back Flynn if his hamstring is better. I expect a different philosophy involving the secondary this year. The press corner will be given up for more of a zone look. Butler and Ryan are looking like the starters, with Robert McClain manning the slot. It will be interesting to see how much this trio will play against Green Bay, but I can see more Darryl Roberts and Jimmy Jean in there. Belichick isn’t afraid to play a rookie early and often and has had obvious success (Butler and Randall Gay comes to mind). Keep an eye out on the secondary and how they play. That can be indicative of what the season will hold defensively.